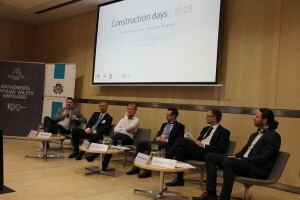 The annual construction conference » Būvniecības dienas 2018″, held in the National Library of Riga on 11th and 12th of April, focused on the quality of construction, supervision and digital developments in the construction industry. Fast-changing technologies create new challenges for process management and provide opportunities to create a safe and high-quality environment for cooperation. A presentation on Estonia’s progress and international cooperation in the EUBIM Task Group was followed by the discussion panel. Estonia’s building register (Ehitisregister) facilitates the digitisation of procedural processes in Estonia, provides an opportunity for a paperless construction project and increases model-based co-operation during the construction process. Estonia’s representative and the head of international operations of Novarc Group AS, Virgo Sulakatko, discussed with colleagues from Lithuania (Dainius Čergelis), Latvia (Uldis Jansons), Finland (Markus Rauhala) and England (Adam Matthews) the readiness for implementation of BIM technology and international cooperation, where new possibilities gain higher significance. 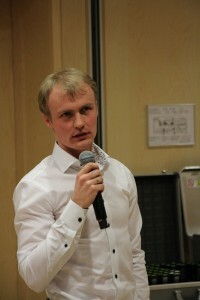 According to the Latvian state-owned real estate company, Valsts nekustamie īpašumi, the implementation of BIM will serve the interests of the public as they increase the quality of the work environment and enable to make more accurate on-time decisions in various phases of the building lifecycle. The upcoming pilot project will include the introduction of BIM technology in the planning and designing stage, as also in the construction process. The expected benefit is the increase of transparency, reduction of risks and costs with efficiency increase.